Ecuador is among the world's most biodiverse countries and is the first to include the 'Rights of Nature' in its Constitution (2008). Despite this the government has granted oil and mining concessions in over 40 protected forest reserves and indigenous territories without prior and informed consent of local communities as required by the Constitution. As one example, Ecuador’s Choco-Andean Biosphere Reserve declared by UNESCO in July 2018 is the result of over two decades of local conservation and community development initiatives and a participatory multi-stakeholder process led by a consortium of parish governments (Mancomunidad del Chocó-Andino de Pichincha) together with local communities, businesses, civil society organizations, NGO’s, universities, the municipal government of Quito, and the provincial government of Pichincha. The main motivation to apply to UNESCO for status as a 'Biosphere Reserve' was to seek an international mechanism to halt mining concessions within legally recognized protected forest reserves within their jurisdiction. To date the national government and transnational mining companies have shown no sign that they will respect the international designation by UNESCO. In this context, the challenge is how to implement Ecuador's proposed development model of Buen Vivir ('Good Living' in harmony with nature) as a sustainable alternative to destructive oil and mining development in biodiversity hotspots and headwater ecosystems of global importance. 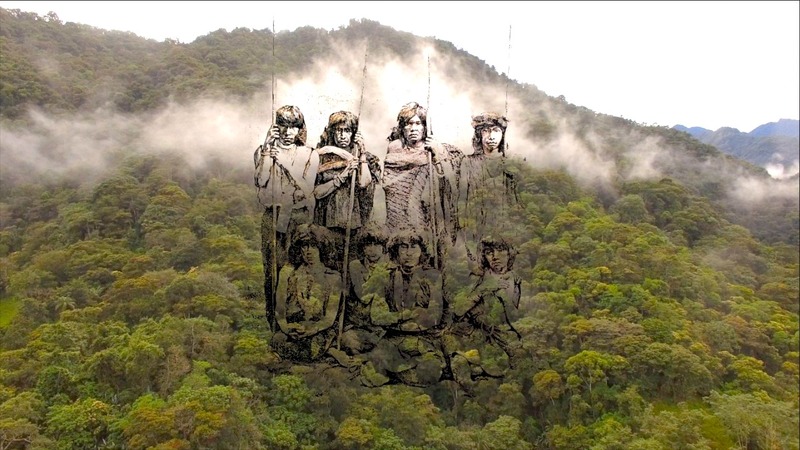 Note on the image: Yumbos, indigenous people who inhabited the Choco-Andean region in northwest Ecuador who had developed a sophisticated forest-based culture that was sustainable for over 800 years until the eruptions of the Pichincha volcano in the late 1660's...they are the inspiration for the people who are working for the conservation and sustainable development of this region today.